BP Warriors – WinMan Volleyball Club | A non-profit organization promoting the sport of volleyball in Winnipeg and surrounding areas. The WinMan Volleyball Club believes in strong community building events and celebrating the success of our athletes. Annually, at the end of February and April, our boys and girls coaches will have the opportunity to nominate 1 athlete from their team who exemplifies any of the award criteria listed below. 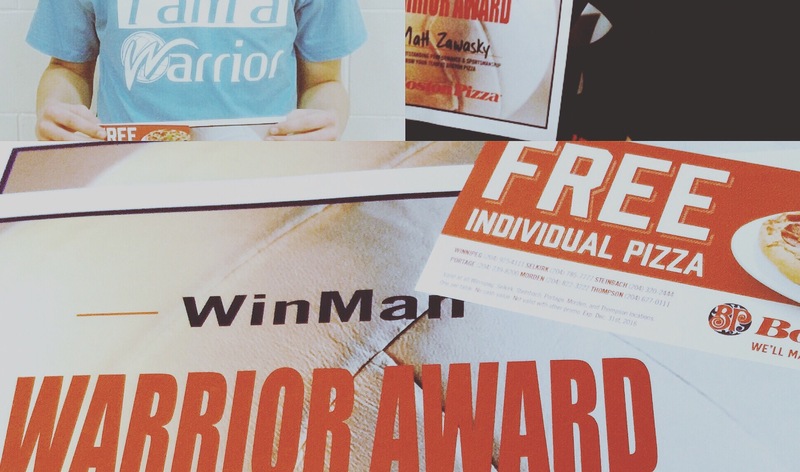 Each athlete nominated by their coaches will receive a Boston Pizza Warrior prize package sponsored by HomeRun Sports and Boston Pizza. Names of the WinMan Warriors along with their pictures will be celebrated on the WinMan Volleyball Club website with our sponsors clearly visible on each post.